Any Brandeis University student, staff, or faculty can join a choir for credit or as an extracurricular activity. Regardless of your background or level of experience, we have a choir for you! Spring 2019 auditions will take place January 14, 15, and 17, and are required for admittance into the University Chorus and Chamber Singers. Auditions, also known as vocal hearings, are informal, and consist of (1) testing range of voice, (2) testing your ear for pitch replication, and (3) reading a short work together. No prepared work is required. Sign up for a spring 2019 vocal hearing here! Please email Robert Duff with any questions. 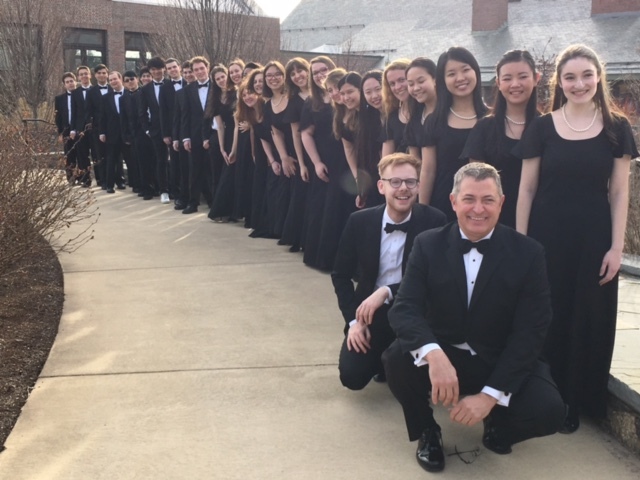 Rehearses Tuesday and Thursday, 3:30-4:50 p.m.
Brandeis University's premier choral ensemble, the Brandeis Chamber Singers, is directed by Dr. Robert Duff. 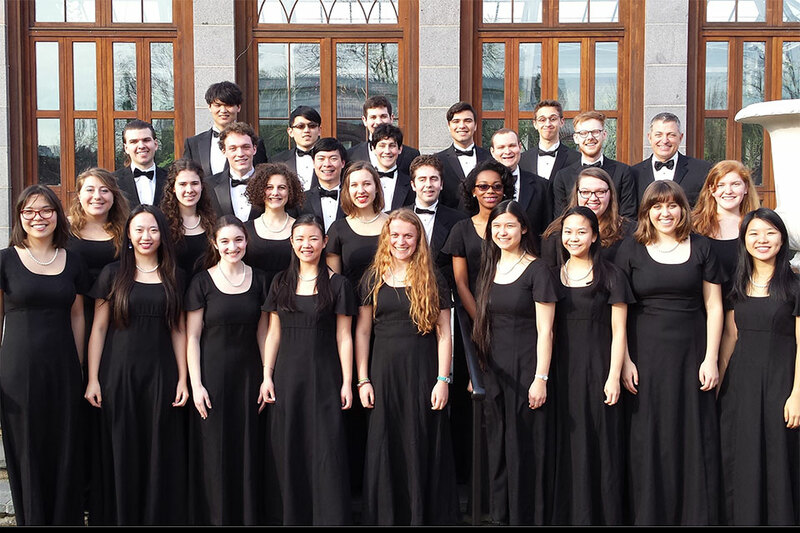 The members of the Brandeis Chamber Singers are full-time, undergraduate music and non-music major students committed to innovative and quality performances and community outreach through choral music. Repertoire of the choir includes both a cappella and accompanied music from Western and Non-Western vocal traditions. Members of the Chamber Singers also provide leadership in the Brandeis University Chorus. Rehearses Tuesday and Thursday, 5-6:20 p.m. The Brandeis University Chorus is a larger mixed choir and includes members from the entire Brandeis community including undergraduate and graduate students, faculty and staff. It performs great and enduring music from the vast classic Western tradition, a cappella and accompanied. 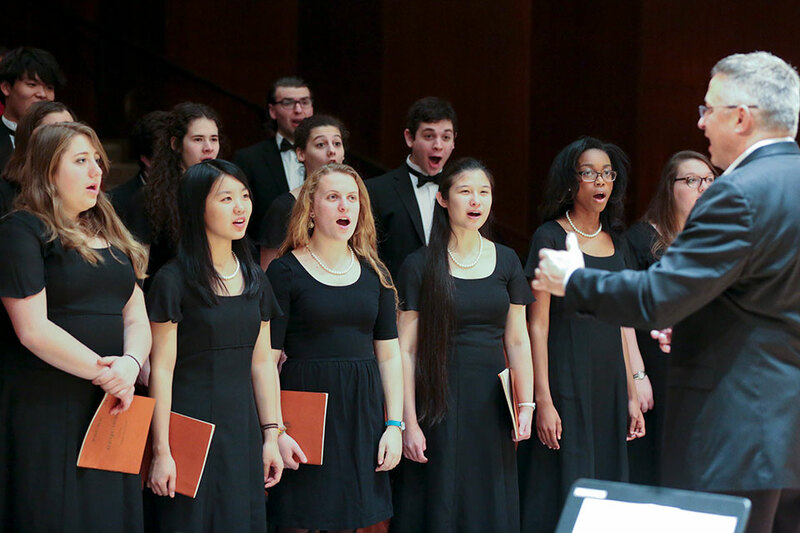 Student soloists from the Brandeis University Chorus are frequently featured. The University Chorus leads the community in the annual Messiah Sing every December in the Atrium of the Shapiro Student Center.